The study of dynamics of disasters is an important and worthwhile endeavour, with huge benefits for everyone. 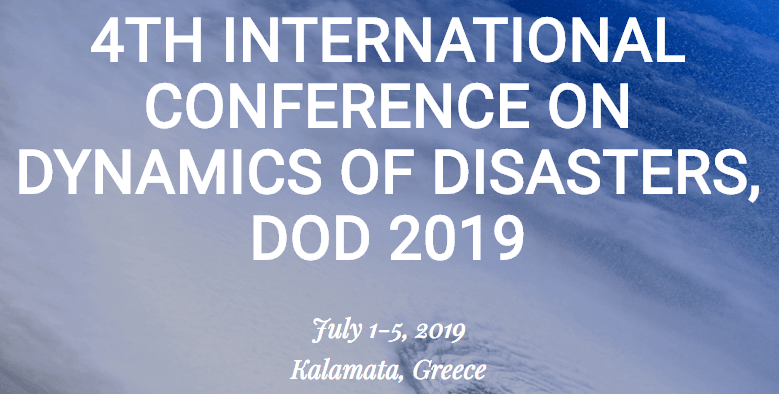 Join us in beautiful Kalamata, Greece on July 1 to 5, 2019, where experts share the latest findings on natural and unnatural disasters. We extend an invitation for those studying topics related to disasters to submit an abstract and paper and everyone to register to attend this fascinating and must-see conference.